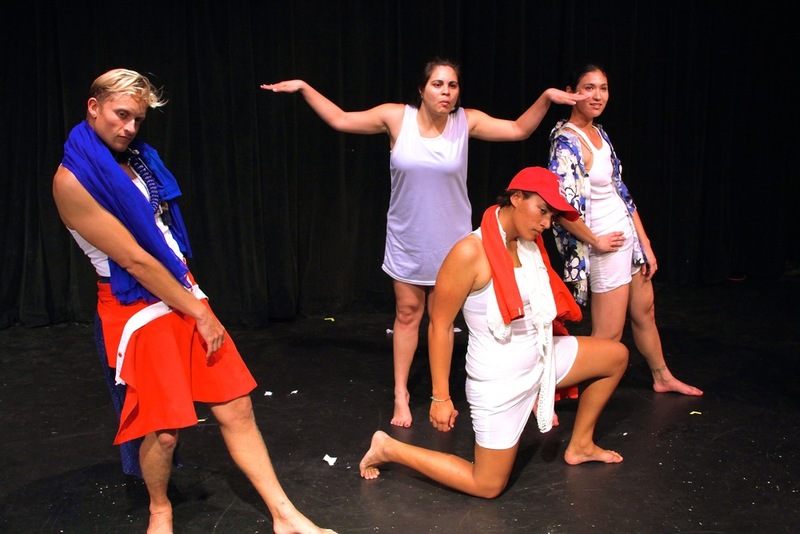 PlayBuilders of Hawai’i Theatre Company presents the Hawai’i premiere of re ad dress ing FAIRYTALE Honolulu, a dance theatre piece choreographed by SheenRu Yong and featuring the PlayBuilders Ensemble (P.EN) at the ARTS at Marks Garage, 9pm, Thursday February 12, 2015 and 10:30 pm, Saturday, February 14, 2015. 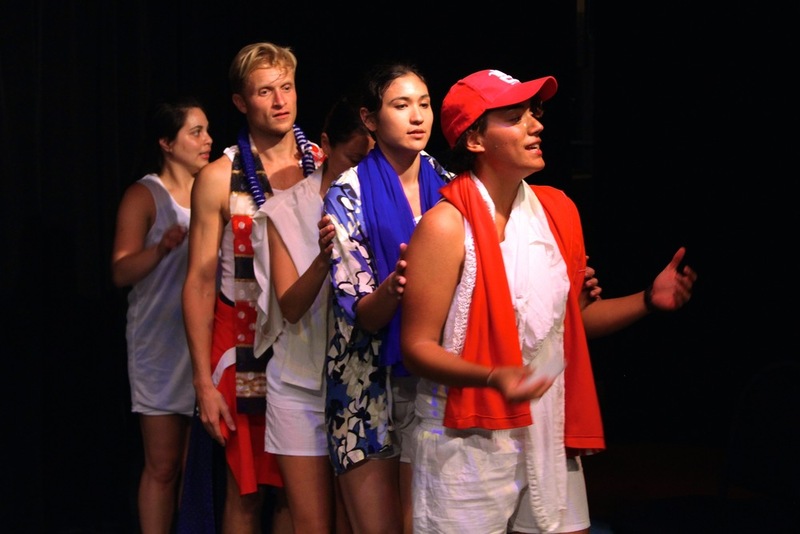 Previously staged and performed in Taiwan and NYC, this new rendition created specifically for the O’ahu public in collaboration with The Leeward Theatre is not to be missed! 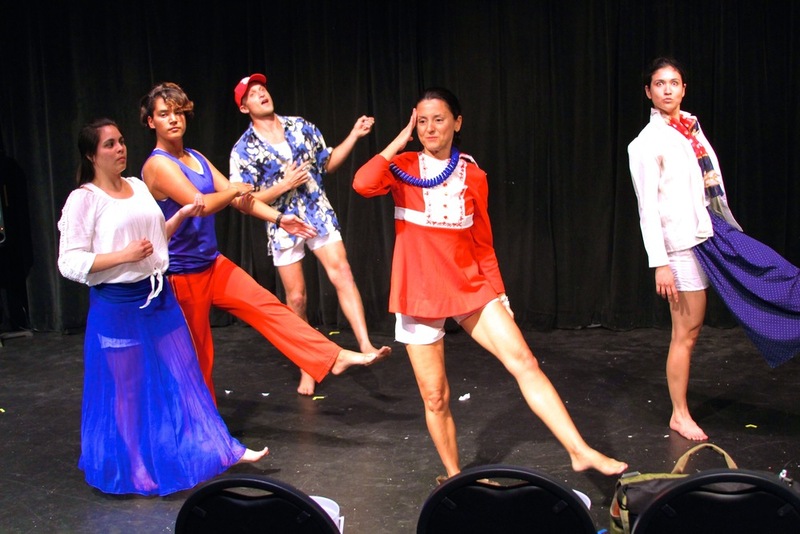 Part physical theatre, dance, improv comedy, and frenzied fashion show, re ad dress ing FAIRYTALE is a different-every-time live spinning of classic and offbeat tales. Do fairytales ever come true? How do / will we find our way to happily ever after? Our fates may very well be in your hands. At once tongue-in-cheek, bittersweet and thought-provoking, this entertaining take on fairytales will have you both laughing and crying, re ad dress ing your own stories. We all know how to talk story, but what happens when stories start talking back? Once upon a time . . . The PlayBuilders Visiting Artist program will begin in 2015 with our first visiting artist from the USA/Taiwan, Sheenru Yong who will be in residence from January to April. The program aims to bring some of the best community-collaborative artists to O’ahu to share their expertise with our island ‘ohana and to exchange ideas. Visiting artists conduct training workshops with P.EN members and will develop a production with community members during their time with the company. PlayBuilders’ Visiting Artists are pre-selected by PlayBuilders staff members and invited to the company based on their experience and expertise creating community-collaborative performances. SheenRu Yong is currently an artist-in-residence at PlayBuilders and at Leeward Community College. After receiving her BA at Wesleyan University, SheenRu danced and choreographed in New York City and Taipei, where she also received full scholarship for her MFA in Choreography at Taipei National University of the Arts. While dancing and touring internationally with world renowned Legend Lin Dance Theatre, she choreographed and headed several community collaborative projects in Taipei, most notably The Re-source Project. In 2009, SheenRu foundedbody portal theatre, a platform which seeks to honor and develop the creative potentials of the individual, collective, and environmental bodies we inhabit. A fellowship recipient of the Asia Pacific Leadership Program at the East West Center in 2013-2014, she was moved by the many stories and issues about Water she heard while in Hawai’i. Under the auspices of Taiwan’s LuoManFei Dance Fund and the Taiwan Ministry of Culture, SheenRu is now spearheading FLOOD / turn the tide, a cross-cultural collaboration and exchange to create an original work and then to bring the same process to foster similar resonance and creative action in Taiwan.